Light Up St. Paul will be held December 7, 2018 – 6:30 p.m.
Join us as we bring the spirit of Christmas to our campus and begin the celebration of Advent at our 10th Annual Light Up St. Paul event. 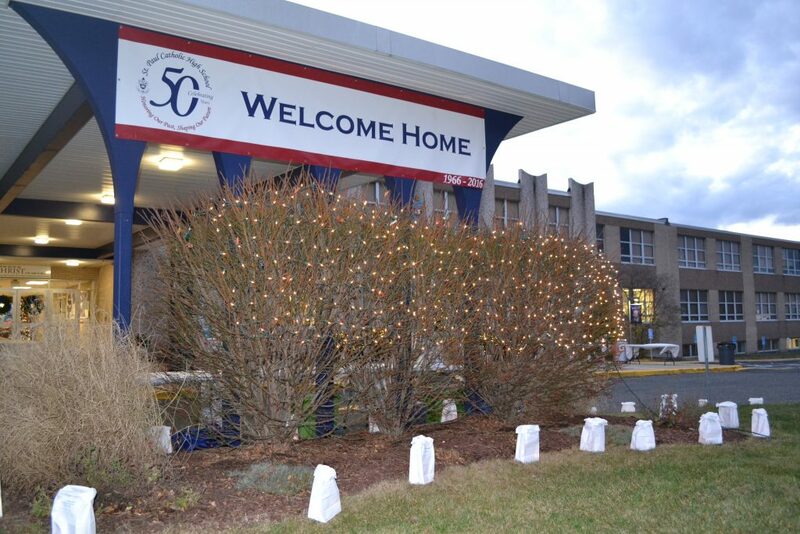 Special luminaries in honor of loved ones present & past will cover our campus with love & light! Advent prayer service & candle lighting ceremony outside featuring St. Paul students. Horse & Carriage Rides around campus provided by Wood Acres Farm. Marshmallow Roasting by the St. Paul fire pits. Holiday Shopping & Activities at the St. Paul Annex. Visit Santa’s Corner, purchase Wreaths, Poinsettias, Ornaments & St. Paul gear. Musical Performance by St. Paul Band Students in the Auditorium. Hot Cocoa, delicious soup & light refreshments served. Would you like to honor loved ones with the purchase of luminaries? Download and fill out this form then send w/ payment to SPCHS. Luminary bags with your message will be displayed around our campus that evening. Christmas is the season to reflect upon our blessings, and we are especially grateful to our community of families and friends who support St.Paul in a number of ways. Please remember to dress warmly! In the event of inclement weather the festivities will be moved indoors.